For standup paddlers around the country, there is cause for celebration. 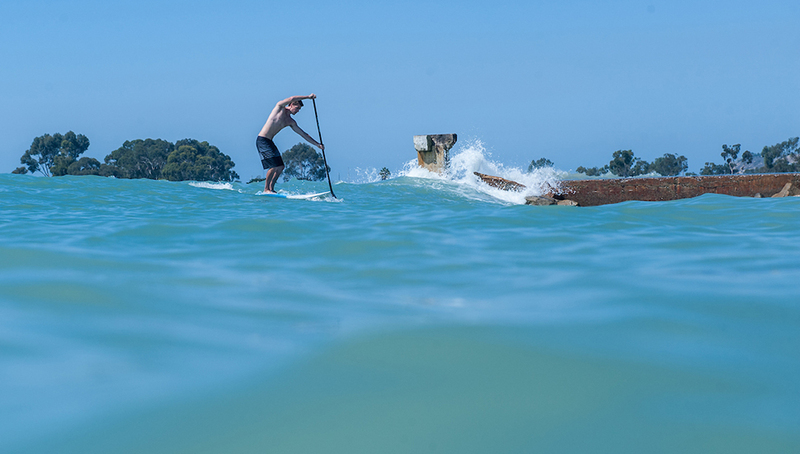 With Memorial Day behind, stand up paddlers are celebrating the unofficial start of summer. Long summer days will mean spending lots of hours in and out of the water, and perhaps sunburns. Don’t brush off a sunburn as just a nuisance or just something that you deal with. Ignoring sunburns could lead to potentially bigger health problems in the future such as skin cancer. The most common type of cancer diagnosed in the US is skin cancer and approximately 1 in 5 will develop it sometime during their lifetime. This cancer affects about 90, 000 in the US yearly, from young to older and is one of the most deadly cancer for anyone under the age of 40. But should this scare you into hiding indoors and selling your paddleboard? No it shouldn’t, but you should take the proper precautions that can possibly prevent skin cancer as well as melanomas that can be caused from UV exposure. Here’s four strategies to protect your skin on the water this summer. Most people will often not use enough sunscreen to achieve the recommended amount on the label. To optimize the benefits of sunscreen, use and SPF of 65 or greater. You will want to also use two layers of sunscreen each time that you reapply. It’s important to choose sunscreens that have broad spectrum that contain zinc and avobenzone to protect against UVA and UVB. Always apply sunscreen after two hours of sun exposure, especially if you’ll be spending all day in the water or on the sand. After being exposed to sunlight and water, sunscreens will lose it’s efficacy. Applying sunscreen is great in helping protect you against harmful UV rays but you should also wear clothing that has a UPF of 50+ to provide the best protection. They are great at blocking harmful UV rays. The neck area, back, ears, and scalp are at the highest risk for melanoma. By wearing water-resistant clothing will cover these areas and provide the best way to safely paddle under the hot summer sun. Some paddleboarders will wear a hat in an attempt to protect themselves from the sun. However, they may forget that the sun’s rays reflect off the water and can still cause damage to the face and neck areas. Protect your eyes as well by wearing sunglasses while out on the water. 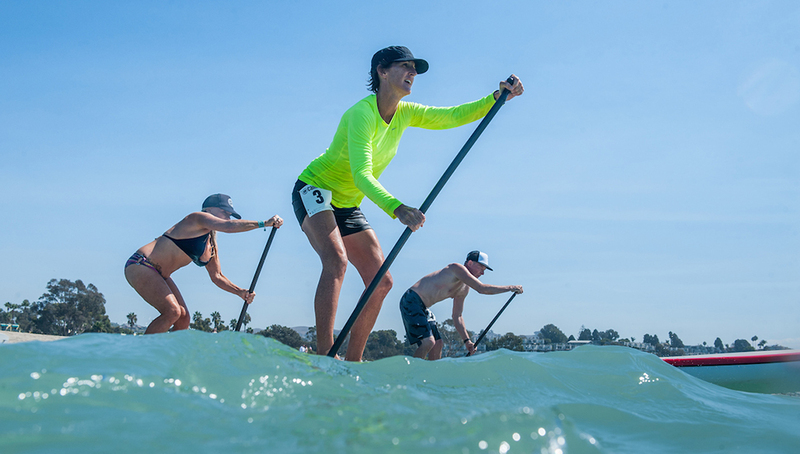 A SUP boarder are at a higher risk of damage to their eyes as sunlight can bounce of the water. You can easily prevent damage by wearing a good pair of sunglasses, skip the cheap ones and opt to perhaps pay a little more for one that indicates that it blocks 100% of UV rays. These type of sunglasses are different that the ones that are polarized and reduces the reflective glare that comes off the water. Polarized sunglasses doesn’t not offer any additional protection from the sun. Between the hours of 10am and 2pm is when the sun’s rays are the most intense and can also do the most damage. Sixty percent of the sunburn rays (UVB) are produced during that time. If you can only go out on the water during this period, then you must follow the four steps mentioned to avoid a sunburn. Sunset or sunrise may be a lease harmful time for your skin and possibly even a more scenic and pleasant time. 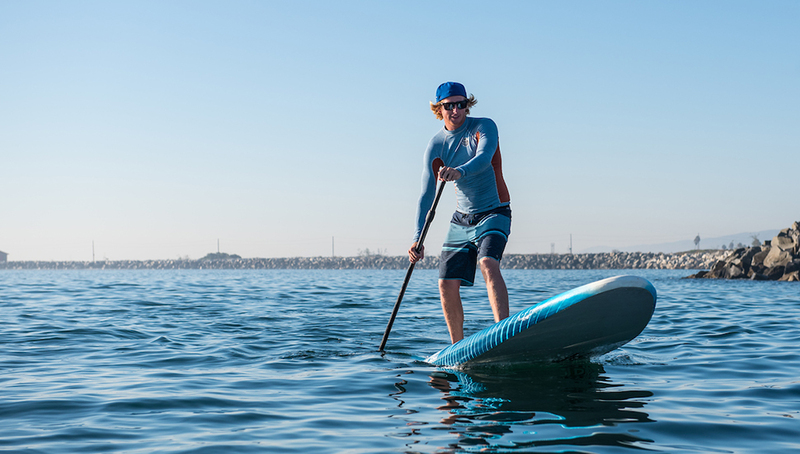 Turn Your Old SUP Into a SUP Foil Board! We happily deliver and pick up your boards wherever you are!